Marcus offers a FREE first / introductory lesson! 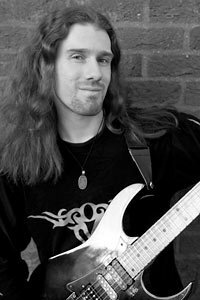 I have been playing guitar and performing in various bands for around 20 years, and started teaching music in 2004, after completing my BA Music/popular music degree and moving to Southampton. I pride myself on being approachable, patient and structured with my guitar lessons, whether you’re a complete beginner or if you’ve been playing for years. In 2009 I set up my own guitar teaching studio (Southampton Guitar Academy) to focus on teaching guitar full time to individuals and small groups, as I believe that this is the most effective way to learn. (Note: This is my observation based on working in classroom settings, larger groups, and workshops previously, and noting that progress tends to be much more effective and enjoyable for many individuals when lessons are tailored to the individual in smaller groups or 1 on 1). Over the years I have helped hundreds of students to learn and improve their guitar and music skills, from beginners starting a new hobby to more serious players applying for A level & university courses, or looking to join a band. I also have an excellent record with students studying Rockschool grades with me, with more than 2/3rds of those taking an exam passing with a merit (75%+) or distinction (90%+). Whether you want to learn for fun, or you are a serious musician looking to take your playing to the next level, I offer friendly, professional tuition service to help you achieve your guitar playing goals. Unlike the other more traditional music teachers, I provide a complete lesson package and support that go's far beyond the lesson time in my studio, that you can access anytime from the comfort of your home. This makes a big difference to the results you can expect because most of the progress you make takes place in practice sessions between lessons. This is something that other local music teachers don't offer support with. I have developed a special online student resource & support package to make this practice time as fun and effective as possible, when used in combination with lessons with me at my home studio… I am passionate about helping people to develop their potential to become successful confident musicians, whether they are starting out or have already been playing for years. I only work with students that I can get great results with… For this reason I offer a free consultation before taking on any new students, to make sure my teaching service would be suitable for them, in addition to offering a money back guarantee. Note on lesson prices: the prices displayed on this site are for pay as you go lessons only. Discounts are available for lessons purchased as a block booking/subscription saving you up to 25 pounds every month from the prices advertised on this site. This is recommended for longer term students to get the best value from my service. For more information, or to book a free consultation session please contact me.